The blood pump is designed for transporting blood from the bleeding trough to the reception point. The blood pump is a membrane pump powered by compressed air. It is fed from the blood trough. From there, through a system of acid-resistant, stainless piping, blood can be transported to any place, in accordance with the design of the plant. The pump is made of aluminium. suction pipe diameter - 1" 1½"
delivery pipe diameter - 1" 1½"
The blood pump is a membrane pump powered by compressed air. It is fed from the blood trough. 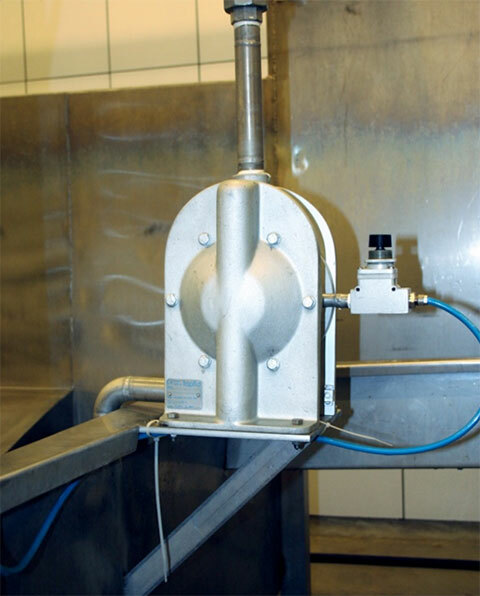 From there, through a system of 25mm acid-resistant, stainless piping, blood can be transported to any place, in accordance with the design of the plant. Pump to be equipped in special valves Max-Pass, which access to transport solid particles contented in medium till 19mm. 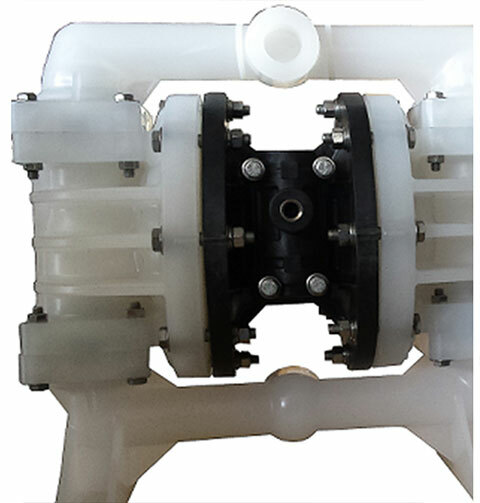 Pump to be manufactured from durable plastic material.